Many consider Nevada's Sen. Dean Heller the most vulnerable Republican in the Senate this fall. President Trump has loomed large in the race, but public support for Trump there has been sliding, and the state went for the Democrat in the last three presidential elections. Yamiche Alcindor talks with voters about why immigration is their number one issue heading into the midterm elections. We turn now to November's midterm elections, with a closer look at Nevada, a state where a razor-thin Senate race could spell trouble for Republicans trying to maintain control of that chamber. And with rapidly shifting demographics, immigration is on the minds of many voters as they head to the ballot box. Yamiche Alcindor traveled to the Silver State and brings us this report. As she plays with her 2-year-old daughter, Ireri Bravo feels lucky, and worried. She fled Mexico as a little girl and lived for years in Nevada as a undocumented immigrant. The stay-at-home mom is now a U.S. citizen, living outside Las Vegas with her young family. But she is reeling from images of immigrant children being separated from their parents at the border. I think of my daughter, and I think of how lucky I am that I know that I get to stay with her. And it just breaks my heart that I can't do more to help all those people who are suffering. Voting is something I can do. And getting people to vote, it's something I can do. That is why she is hoping Republican Senator Dean Heller loses his bid for reelection this November. Bravo is supporting his opponent in the race, Democratic first-term Representative Jacky Rosen. Many consider Heller the most vulnerable Republican in the Senate. He is the only GOP senator up for reelection in a state Hillary Clinton won in 2016. I will vote for Jacky Rosen because Senator Heller has demonstrated that he's not — he's not standing with immigrants. He's not standing with my family. He's not representing me. President Trump looms large in this race. He visited Nevada in June and praised Heller at the state's GOP convention. A little bit shaky at the beginning, but that was when there were a lot of people running. But once we got in there, he's been rock-solid and he's been great. But, in this state, public support for Mr. Trump has been sliding. And Rosen is hoping to capitalize on that in Spanish-language TV ads like this one. Trump orders, and Heller obeys. They're buddies. The only question is, what will you and your buddies do to stop them? Polls show this race is neck and neck. Nevada, once a Republican stronghold, is now deeply purple. It went for the Democrat in the last three presidential elections. And immigration is a major factor. Nearly one in five people here were born outside the U.S. Here I am when I became a U.S. citizen. Like Bravo, many have families with mixed immigration statuses. She has undocumented family members and others in legal limbo. For you, then, immigration is not just an issue. It's a deeply personal experience. Yes, it is, extremely personal. I mean, people that I love and care deeply about, their life is on the line. But miles away at her upholstery business, Maria Caminero sees things differently. She, her mother and infant brother fled Cuba in 1965 as political exiles. It took me 25 years to become an American citizen. Like Bravo, immigration is her number one issue at the ballot box. But she's supporting Heller. I think that Senator Heller would definitely support doing something about immigration. Jacky Rosen is more of an open borders, everything's OK, you know, let's take care of the people. And I don't think that's good. Caminero voted for President Trump in 2016. She admits his rhetoric can be blunt. He just doesn't speak clearly, and he comes across a lot rougher and a lot colder than what he truly is. These aren't people. These are animals. When he said, they're animals, he was talking about MS-13. The president used vulgar language in describing immigrants from Haiti, El Salvador and some African countries. I'm sorry, they are (EXPLETIVE DELETED) holes. My country, Cuba, is a (EXPLETIVE DELETED) hole. And for me to not be able to admit that my country is a (EXPLETIVE DELETED) hole, I would have a problem, because it's the reality. Caminero also believes asylum-seekers and children who enter the U.S. illegally should be detained separately from their parents. You were 5 years old when you came to the United States fleeing violence, fleeing communism from Cuba. Do you think you should have been separated from your mother? You would have been OK? Yes. I would have been — I would have been fine hanging out with other children. I would have been perfectly fine with that, knowing that I could see my mother once a day or once every other day, knowing that she was there. Here in Nevada, two immigrant women, two vastly different views, but one election that could signal President Trump's impact and Republicans' ability to win all over the country. For Heller, the president presents an especially challenging obstacle. The two Republicans align on some issues. But at this interstate opening near the Hoover Dam, he again criticized Mr. Trump's immigration policies. I do believe that we ought to keep these families together. But to say I can't support the Trump administration because of one policy that has been reversed is a pretty ridiculous question. I will support reasonable immigration reform policies that are good for all Nevadans. Jon Ralston has covered Nevada politics for more than 30 years. He says it's a delicate dance. Being close to Trump is going to turn out the Republican base for him. If Trump is a real albatross on the ballot for Republicans in general and for Dean Heller in particular, it could cost him the race. That's what Rosen is hoping. At a senior center in Henderson, she tied Heller to Trump on immigration. I want to work on comprehensive bipartisan solutions that move our country forward, that protect our border, that stop criminals from coming in, that provide a pathway to citizenship. Dean Heller is only going to do what the president asks him to. With fewer than 80 days until the election, both campaigns are working hard to make their cases to voters. Despite their political differences, both Bravo and Caminero are proud of their privilege. I can't begin to tell you what I feel every time I go to vote, because that's something that people in my country can't do. My vote represents all my friends and family members that can't vote. 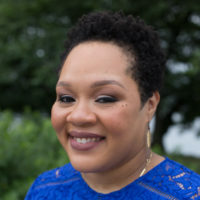 For the "PBS NewsHour," I'm Yamiche Alcindor in Las Vegas, Nevada.